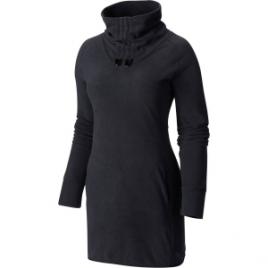 Pack the Mountain Hardwear Women’s Tonga Dress for dancing nights in Cuba. 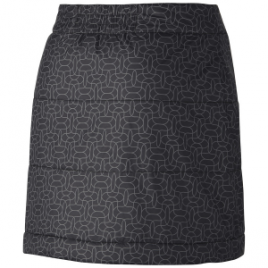 This cute little number blends breathable cotton, smooth modal, and stretchy spandex for the utmost comfort and performance on the dance floor. 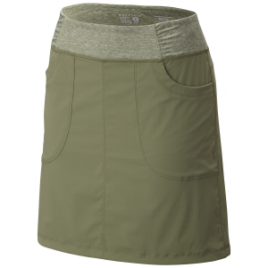 Pair the Mountain Hardwear Women’s Trekkin Insulated Mini Skirt with warm leggings and greet winter with toasty buns. The Patagonia Kamala Cross-Back Dress can be casual and fun for a day of perusing boardwalk shops, or it can be elegant and charming for nights of red wine and summer gallery strolls. The Patagonia Women’s Kamala Maxi Dress has you covered with soft organic cotton and flowing Tencel in a flattering maxi design with a racerback for a sporty style that’s suitable for weddings, business parties, or romantic walks down the beach. 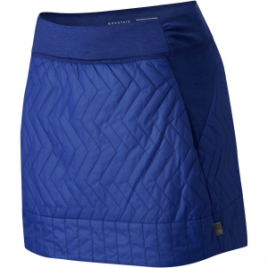 When you hike the Patagonia Women’s Kamala Skirt up around your chest, you create a short and sassy halter dress. Throw on some thin silver chains to add a splash of panache when you’re heading out for the evening, regardless of whether you’re wearing the Kamala as a skirt or a dress.